Parting out cars and parting out trucks can be a good way to make money, especially if it’s a vehicle that can never really again be sold as a unit. Because it may, in fact, be more profitable to part it out — or take all the parts out of the vehicle and sell them individually. If the make and model are uncommon or no longer in production, parts may be in high demand. Keep in mind, this process takes time and skill. If you’re willing to put in the work, the best places to part out a car are the Facebook Marketplace, forums, local scrapyards, eBay, Craigslist, and JustParts.com. Not all cars are good candidates for being parted out; some are better choices than others. If you have an older model of a car that is no longer in production, the parts may be in higher demand than other cars that are still being produced. For example, Saturn, Pontiac, and Saab models, for the most part, are more likely to be prized for their parts. Similarly, cars that are uncommon are good candidates for being parted out. Another reason to part out a car instead of selling it outright is if your car has no title, a salvage title, or a rebuilt title. Without a clean title, the price you can get for the vehicle whole will be greatly reduced, so you may have better luck getting the most money by selling its parts. A car with no title might still leave you with a frame in the end, though, since most reputable salvage yards won’t take it without proof of ownership. To learn more about how to get a new car title or sell a vehicle without a title, see our article: Cash for Cars Without a Title. Some people also part out cars as a way to make money on the side. Buying a junker for cheap and selling the parts can earn you some serious cash, but it does take a bit of time and skill. Read on to learn about the downsides of doing this before you start investing in it as a side hustle. In general, when thinking about parting out a car vs selling, you should only do if the price of the parts at least doubles what you would get for the car as a running whole. That’s because parting out a car takes a lot of time, not just to remove the parts but to also make the sales. You can have the buyers pull the parts themselves but you run the risk of them damaging other parts while they get to their parts, thus lowering the value of the other parts. To get started, you’ll need to do some research on the car to find out what parts are best to sell. Some parts are harder to find than others; these are the ones you’ll want to try and sell for the most money. 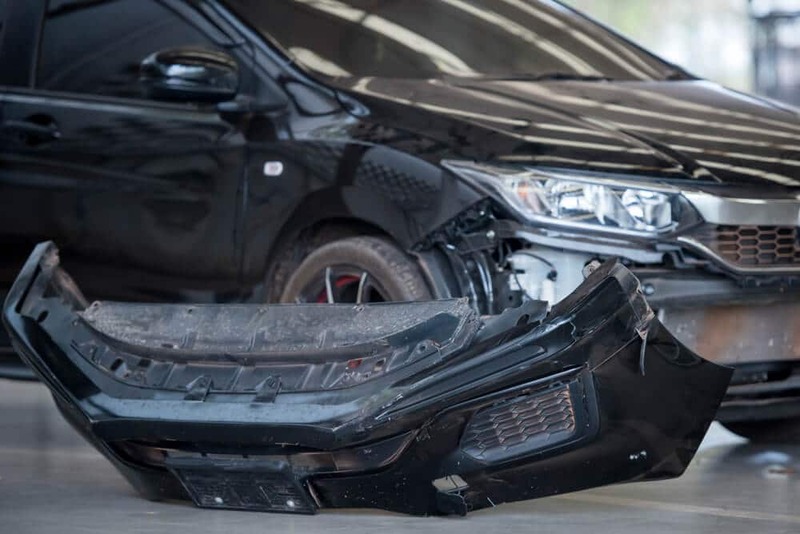 Even things like door handles, interior trim, body panels, and seats can fetch a high price, but it all depends on the make and model of car you’re parting out. The parts on any car or truck that are worth the most are the parts that are most desirable — either because they are rare or because they often break so people need constant replacements. Such as with a Mitsubishi Eclipse from 1995-1999, the exterior door handles are prone to breaking so just those plastic handles demand a premium. And the Turbo spoiler goes for a lot because people love the part and since it was only found on the Turbo models and a few GS models from 1997-1999, it makes them highly sought after. In general, the most profitable parts are drivetrain components: the engine, transmission, driveshaft, differential, transaxle, etc. Working parts will fetch a higher price, but, for some cars, even an engine block is hard to find and can be a valuable part to sell. However, if your engine is burning tons of oil or coolant, it may not be worth it to sell unless the engine is rare. In this case, you may want to save the heavy engine for scrap instead of fixing it yourself or expecting it to sell on its own. Once you’ve identified the best parts to sell, it’s time to get to work removing them. Be careful with plastic pieces since older plastic tends to be brittle and can snap easily, and be especially careful with wiring harnesses and other electrical parts. Any mistakes when pulling parts can end up costing you money. Keep a list of everything you remove from the car to make it easier to list the parts for sale. Removing all of the parts from the engine is a good strategy as well. Things like the throttle body, fuel injectors, air cleaner, exhaust and intake manifolds, and electrical wiring can often be sold for more money than a complete engine block. Take caution not to sell one piece of something that makes the other piece worthless. As an example, maybe your car has plastic side skits. Someone approaches you about buying just the front sections because that’s all they need. If you do that, it’s a very rare buyer who will just want the back pieces. At that point, they are close to valueless. Parting out a car isn’t a quick, easy method. While you can often get more money from the parts than the whole car, there are some major drawbacks to this method. You will need a place to keep your car and space to store the parts as you pull them out. For some of the smaller parts, this is pretty easy, especially if you have a garage. But pulling the engine and transmission out will require not only extra space but also specialized tools like an engine hoist and pullers. The other major downside to this process is time. You will need to take the time to carefully remove every part of the car and store it in a place where it won’t get damaged, rust, corrode, or dry rot. You will also need to spend time selling the parts, which means listing them for sale, packaging them for shipping, or meeting up with people to sell the parts locally. You will be left with the car’s frame, body, and/or large parts with little value. In most cases, you can take the frame and any other parts to a scrapyard, but if you don’t have the title, you may have a hard time finding a place that will take it without proof of ownership. It may be hard to find a tow truck to take the frame to the junkyard. You should at least consider the challenge of how the shell of the car will fit on a flatbed before removing the wheels and suspension. If not, the shell of the car ends up taking up a lot of space but not making you any more money. If you’ve decided that parting out your car is the best way to get the most money and you’re willing to put in the time and effort, there are a few places that you can go to try to sell the parts. Facebook Marketplace: Find communities on Facebook that revolve around the vehicle you’re parting out. A Honda Fit club, Corvette club, etc. Communication is simple as it’s right on Facebook. You get fewer tire kickers as well since people aren’t anonymous. Forums: Any vehicle worth parting out will have at least a few online forums. Forums are places where enthusiasts hangout, swap ideas, show off builds, and buy/sell/trade vehicles and parts. Find out what you have that’s worth creating ads for and post them to the appropriate section of the forum. This process takes quite a bit of time for admin and the organization of things. But you’ll likely get good prices. Note that many forums require you to be a member for a certain amount of time/make a certain number of posts before you can sell. Local scrapyards: Some junkyards in your area may also work as parts stores and may directly buy parts from you. These yards essentially do the same thing you would, only they part out cars on a much larger scale. While it might be easiest to sell large parts to a scrapyard, you may not get the best price because the scrapyard has to make money on the parts too. eBay: Parting out cars on eBay is most common. For smaller parts, eBay is a great tool. Anyone looking for parts for their car will likely check eBay after striking out at the junkyard. Just remember to factor shipping costs into your estimates before you decide to use this method. eBay can also be used to determine fair prices for your parts; look up the part you want to sell on eBay and filter the results by “Completed Listings” so you can see what people are actually paying for the part. Craigslist: While it doesn’t have quite the reach of eBay, Craigslist is a good option for larger items like engines, transmissions, seats, and fuel tanks, since you won’t have to pay for shipping. The major downside of Craigslist is that many buyers may express interest but not follow through or try to lowball you. JustParts.com: Built specifically for people looking to buy and sell car parts, JustParts.com can help you find or sell whatever you’re looking for. There is no cost to join and you can post parts for free. There is, however, a percentage fee when you sell a part through the site. Parting out a car for profit (or a truck) may be very worthwhile. But only with the right vehicle and the right person. If you have an old car that you want to get rid of or you’re looking to make some extra money on the side by parting cars, selling individual parts can be a great way to make more than you would by selling the car outright. As long as the make and model of the car’s parts are in demand, you’re willing to get a little dirty taking everything out, and you have the time to post and sell the parts, parting out a car can be profitable and even a good side hustle.